It is almost that time of year, where we are all looking for that beach read. 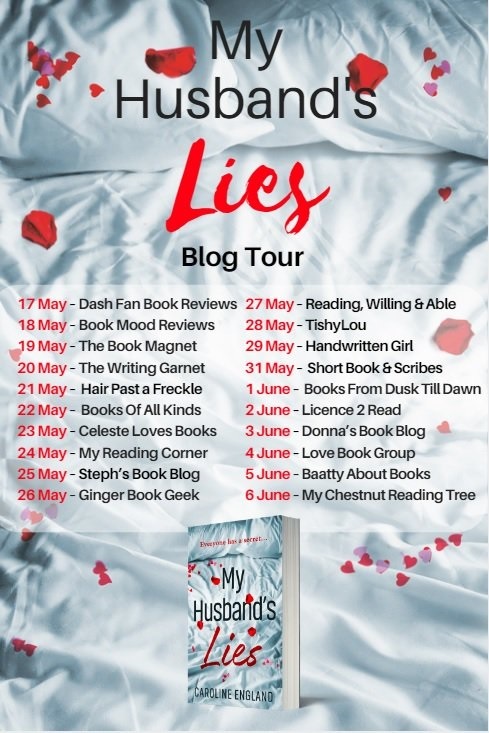 For those fan’s of a good thriller, My Husband’s Lies by Caroline England , is poised to be a must read book for the summer. Take a sneak peak of whats in store and if you are desperate to read more, make sure to order it. Stepping from the car, Penny stares at the huge yellow and blue sign on the warehouse building. Stop and breathe; stop and breathe, she says to herself. It’s a Tuesday morning; she’s come early as planned. It won’t be busy. No need to panic, just buying crockery, it’ll be a breeze! The list in one hand, her handbag in the other, she counts the metal stairs, then stops at the beginning of the walkway. Oh God, she’s been here before. It’s like a run, a long sprint. But that’s fine, really fine. Just get on the starting block. Wait for the gun. Follow the track. Round and round, round and round. She takes a deep breath, looks left and then right. Living space, it seems, sofas, wardrobes and beds, curtains and candles. She doesn’t need those and it’s fine, really fine. It’s not a race, no. More like the yellow brick road; she just needs to stroll and follow the path. A mirror, a mirror. Don’t look in the mirror! That’s silly of course; she knows that. She just made a mistake when she looked at her reflection this morning. Thought she saw specks of blood, moving and crawling. But when she leaned closer, nothing was there. Debbie’s fault; stupid Debbie. Got her thinking about that when it was all in the past. A bad penny. Not that she was bad. Just exam stresses, that’s all. Letting off steam in the student kitchen. A loud crash brings her back to today with a jolt. A serving bowl rocks on the floor, but it’s not broken, thank goodness. That’s why she’s here. To buy crockery! Ironic when you think of it. She only hurled plates, really. Maybe some cutlery. A few glasses too. Whatever came to hand. But she didn’t aim them at anyone. Not deliberately, at least. Except him, of course. Just stress, exam stress. It didn’t make her a bad person; that’s what Dad said. Mum didn’t understand, but he did. Bad Penny, that’s what she thought. Which is why Will doesn’t know; why he must never know! Breathe Penny, breathe. It’s fine and he doesn’t. The sessions are confidential and everything is perfect. They are escaping! Very soon! Letting out the house and going to Grand Cayman. A red telephone box! Sand, sea and sunshine, just the two of them together. And, even better, her period is late. She just needs to get the house organised. Twelve, the agent said. A dozen of everything for the new tenants. She can’t use the Denby, it was bought for their wedding. That’s why she’s here. Time to concentrate, Penny! Shielding her eyes from the glare of bright light, she stares at the crockery displays. Bowls, plates and side plates. Mugs, cups and saucers. So many shapes and sizes. Oh God, what about egg cups and serving dishes? And the colour? White, yellow, blue or green? What if everything goes wrong? Like Debbie, nice Debbie. Debbie who frowned, deeply frowned. She didn’t like that. She won’t go again. Stupid, stupid woman, bringing that back. Violence, she said, a delusion with violence. Not a nice word, not a nice word at all. Wickedness, as if! Bad Penny didn’t mean to hurt anyone. Exam stress, that’s all. And it wasn’t her fault. The pills were the fault! Ritalin, Adderall, Dexedrine, Modafinil. Whatever was going. 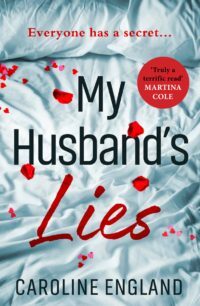 Tense, disturbing and clever, My Husband’s Lies is the second domestic noir from Caroline England, perfect for fans of Lucy Clarke and Erin Kelly. Born Yorkshire lass, Caroline studied Law at the University of Manchester and stayed over the border. Caroline became a partner in a Solicitors’ practice and started writing when she deserted the law to bring up her three lovely daughters. 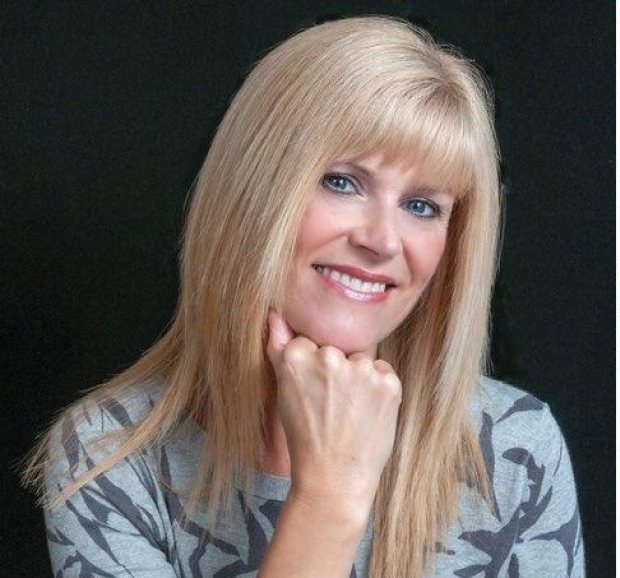 In addition to the publication of her short story collection, Watching Horsepats Feed the Roses by ACHUKAbooks, Caroline has had short stories and poems published in a variety of literary magazines and anthologies. 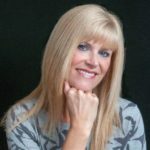 Her debut novel, Beneath the Skin, was published by Avon HarperCollins on 5 October 2017.